Does Google’s page speed algo, or how slowly a page loads, have any impact in indexing or are there no connections between the two? With the new page speed algo coming soon, there is definitely some confusion around it and if it changes anything with indexing. The short answer is theoretically, nothing is changing. But it is also important to remember that when it comes to page speed and indexing, there is a crucial caveat that some might not think of. That said, there are cases where having a slow page does impact indexing. If your page loads very slowly, Google will reduce the site’s crawling so that Googlebot doesn’t negatively impact the server by overloading it with crawl requests. For a new site, this will definitely impact how quickly Google indexes the pages on the site. Likewise, if your site updates pages regularly, a slower crawl rate can impact how quickly the content on those updated pages gets indexed. For smaller sites, this won’t be as big of a deal, but for larger sites, it will definitely have an impact. Of course, it is important to remember that aside from the Google side of things where pages that are slower on mobile will rank lower, slow page speed also impacts user experience and can result in a higher bounce rate or loss of traffic from those who don’t return or give up after waiting for pages to load. 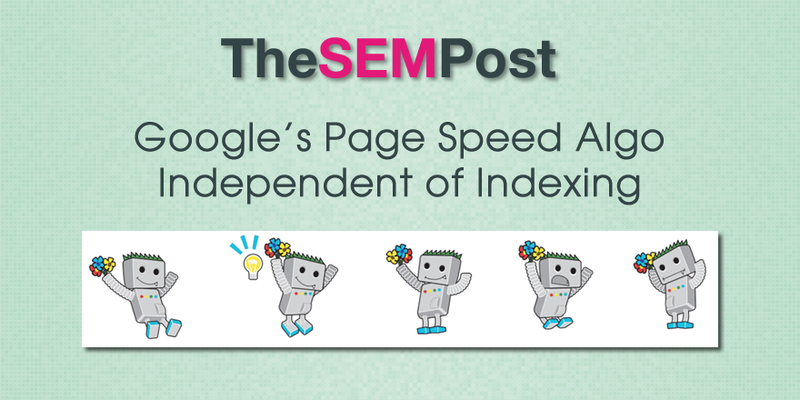 So while page speed doesn’t necessarily impact rankings, if the page speed issue is extreme, such as an extremely slow server response, then that does impact how quickly and thoroughly Google crawls and indexes the site.